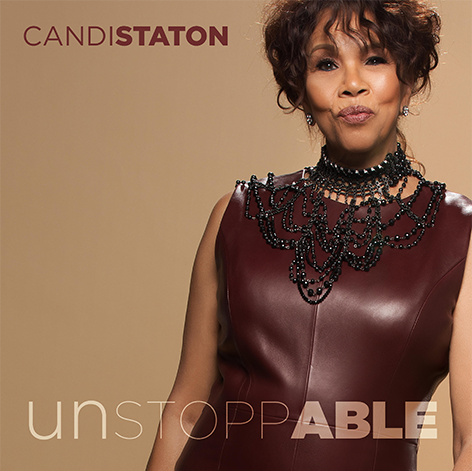 Legendary Singer Candi Stanton to Release New Album “Unstoppable” on August 24th, 2018 | LISTEN TO NEW SINGLE! Candi Staton to release new album Unstoppable on Aug. 24th – LISTEN to New Single “Confidence”! After a lifetime of great music, Staton has accumulated many well-deserved accolades, including induction into the Christian Music Hall of the Fame and the Alabama Music Hall of Fame. But as proud as she is of those acknowledgements, she’s even more proud of her work with victims of domestic violence through her non-profit organization, A Veil of Silence — and deeply grateful that she’s able to continue dazzling audiences with her age-defyingly energetic live shows, mixing music from every era of her storied career. “I’m in awe every day,” she says of her continued success. “I am so blessed and thankful. There are so many of my peers that are not here to see something like this happen to them. And I’m still here.” You might even say she’s unstoppable.